A feature planter is a flower pots, usually large in size, that is set in a position that makes it a focal point in the garden or interior. 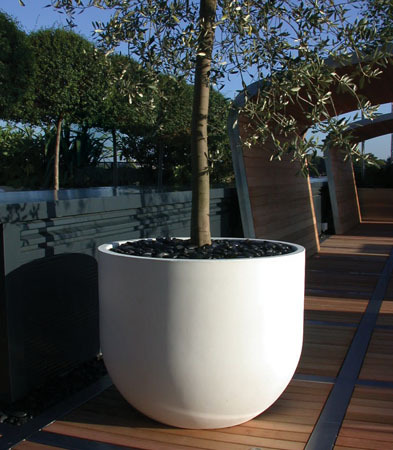 There are many different planters out there and it is often not only the design of the pot but also the design of the surroundings that make the concept work. These flower pots can be expensive as they are usually large in size and high quality. It is important that they have these properties so they have a presence and can stand up to closer inspection as there should be little else around to distract the eye. 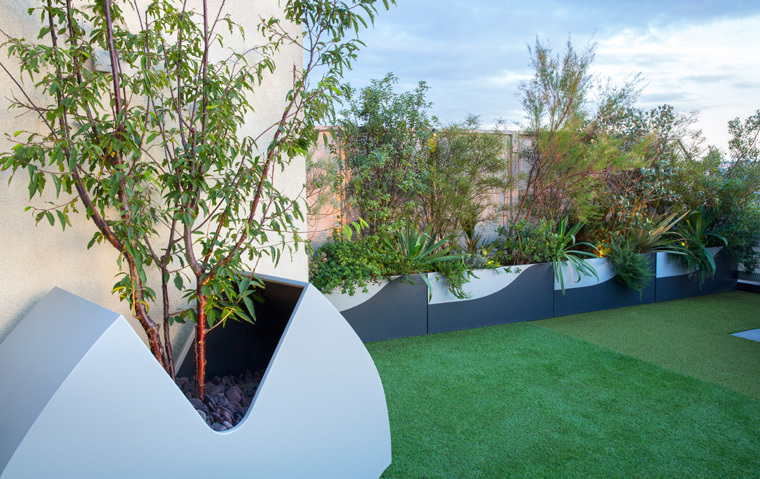 The style of the feature planters can vary depending on your garden design. 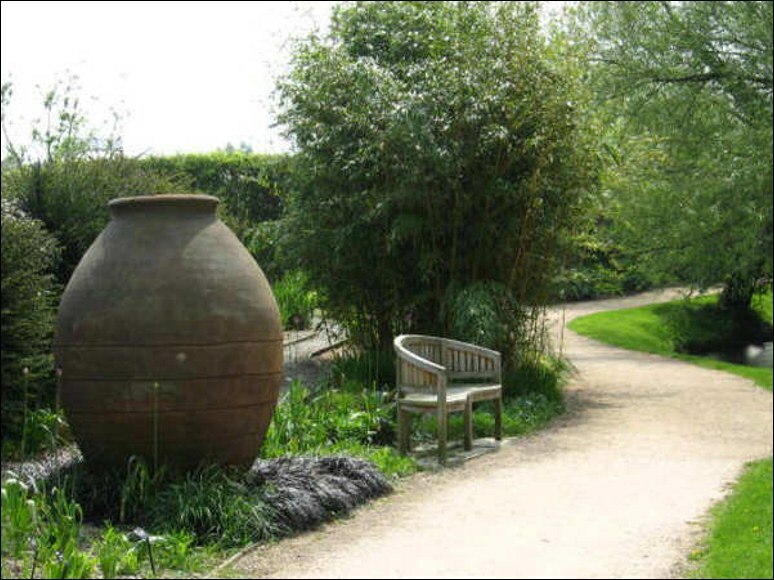 Contemporary garden design naturally asks for a contemporary pot but more traditional garden designs enable designers to choose a variety of different styles and even mix them up. They are essentially a sculptural piece that makes a statement in the garden or interior landscape. This terracotta example stands quite solitary with little distraction from it’s presence. The difference in it’s presentation is clear compared to the others. Compared to the planter above this one by Urbis has a very different feel and that is due to the surroundings within the garden. The over all design looks less empty and the pot fills the space much more. When I stumbled across this urn/flower pot I loved it! I have no idea what the cost is or the durability of the finish. If it is really, unlaquered copper then it would patina over time and look very different, not in bad way but it wouldn’t look like this. 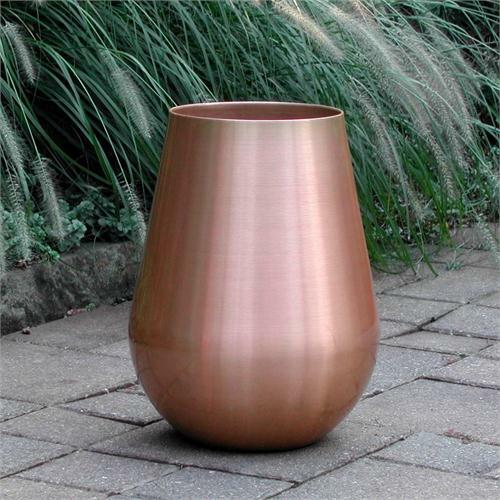 A patina’ed or verdigris planter can look great and is really striking as a feature pot. 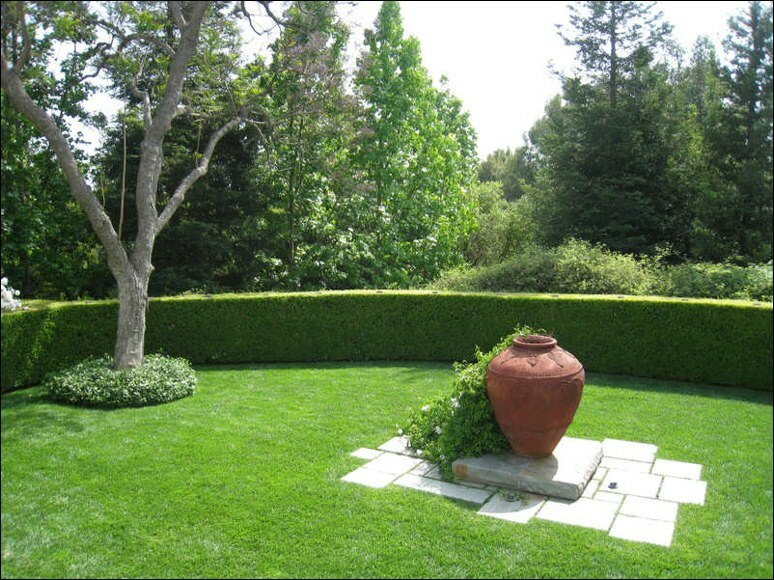 The aged green colour has an uneven tone and blends well with garden surrounding. Lump are a sculpture company in Australia and they work with corten steel. For an up to the minute style focal point, using corten steal is very much on the money and of the moment and with these planters you can’t go wrong. The designs don’t have to be very different to be focal points and they don’t have to stand alone. These white bowls are a good demonstration of simple forms creating a feature together.